The call to action, while monumental, was not surprising. More than 1,000 people died from opioid drug overdoses in Philadelphia in 2017. While 2018 numbers are not final it’s estimated that another 1,000 deaths in the city will be opioid-addiction related. 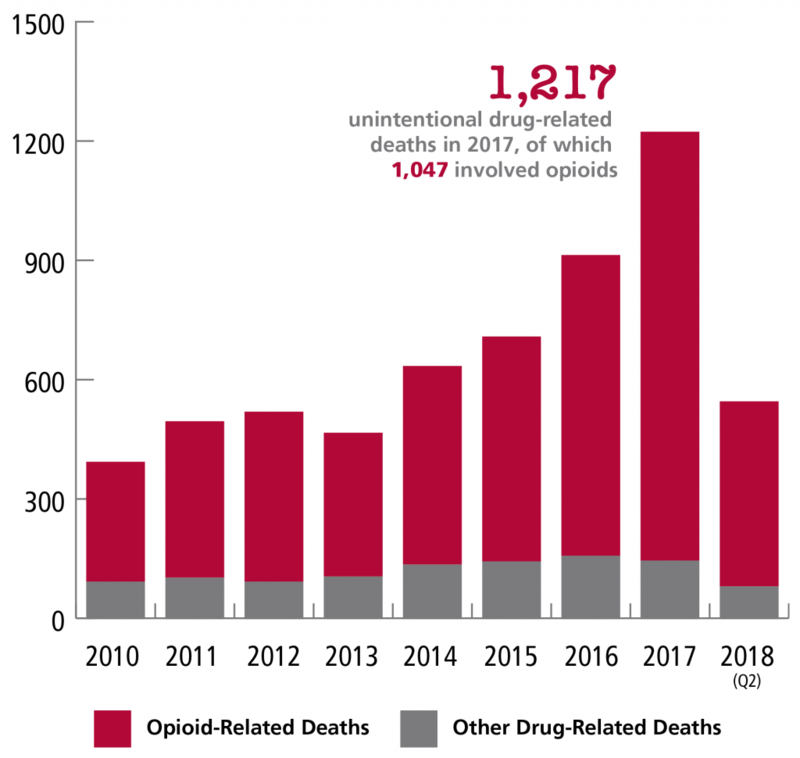 Nationwide, an estimated two million people struggle with opioid dependence; in 2016 and 2017, more than 130 people died from opioid-related drug overdoses every day in the U.S., according to the Department of Health and Human Services. What is surprising, at least to some, is that a Jesuit priest — Peter Clark, S.J. 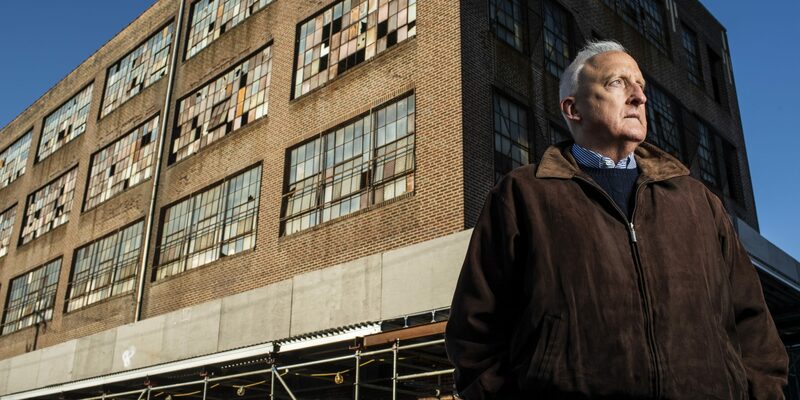 ’75 — is an outspoken advocate of addressing the problem in a controversial way: by creating safe injection sites in the city. In a study published in The Internet Journal of Public Health, the professor and his team of students and doctors supported the creation of Comprehensive User Engagement Sites (CUES) staffed by health care professionals who would supervise intravenous drug use and provide syringes, disposable cookers, matches, bottled water and tourniquets. Clark’s work is driven by one of the Church’s most fundamental beliefs: All human life is sacred. “We took a lot of pushback on [the safe injection sites]: ‘Why are you, as a Catholic ethicist, promoting giving clean needles to heroin addicts?’” Clark says. “But what we’re trying to do is based on sanctity of life. Unless you’re ready for rehab, you’re not going to be successful. We’re trying to keep people alive until they’re ready to go into rehab. That’s our ultimate goal. As a college professor, Clark teaches, counsels and mentors students. As founder and director of the University’s Institute of Clinical Bioethics (ICB), he works with doctors from around the world as they grapple with difficult ethical dilemmas and does weekly ethical teaching rounds at four local hospitals. As a humanitarian, he uses both roles to help others. On a local level, Clark helms a project that serves the medical needs of tens of thousands of undocumented immigrants and is working with students to find way to reduce childhood obesity and to explore the use of marijuana as a drug treatment option. Students working with Clark are also seeking improvements to health care overseas, looking to repurpose pacemakers and creating sustainable sanitary napkins. Ann Marie Jursca Keffer, director of the University’s Faith-Justice Institute and an adjunct professor who has taught “Just Health Care in Developing Nations” with Clark for 20 years, agrees. This is Clark’s third stint at St. Joe’s. His first was as a student. Growing up in Delaware County, Clark chose the University because it was the only local college that offered Latin American studies, and he was considering a future working with the U.S. State Department. He studied in Mexico City as an undergraduate, living with a local family. His experiences there are directly related to his current social justice work. John Rangel, chair of the Institute of Clinical Bioethics’ external advisory board, met Clark in Mexico. Even as a very young man, Clark was a leader, Rangel says. The two quickly became friends and remain close today. Clark graduated from St. Joe’s with a bachelor’s in international relations with a minor in Latin American studies. He then went to work for AmeriCorps precursor VISTA, working with migrant farm workers in Texas. After completing a master’s in counseling psychology at Duquesne University in 1978, he returned to SJU as associate dean of students. One of his notable acts? Banning beer kegs from campus. It was yet another case of Clark taking an unpopular or controversial position because it aligned with his beliefs. University supporter Brian Dooner ’83, an undergraduate at the time, met Clark during this era and saw he was more than a tough guy. While overseeing student life on campus, Clark also got to know the Jesuit priests who lived and worked there. He decided to join the priesthood at age 30, much to his family’s surprise. He called his sister to tell her the news. She tested whether he was serious, reminding him of the vows of poverty, chastity and obedience. When he affirmed his plans she gleefully claimed his car, stereo and TV. Clark began studying at a Jesuit spirituality center in Wernersville, Pennsylvania, where, for two years, “You look at them, they look at you, and you learn to pray,” he says. His training included stints as a rookie police officer, a prison psychologist and a live-in assistant to the disabled. He and two other aspiring priests also set out on “Walking Pilgrimages,” traveling the 105 miles from Wernersville to Emmitsburg, Maryland on foot without money. Clark got his first lesson in obedience when he told his Jesuit superiors that, of the three options available, he wanted to go to St. Louis to study for his master’s in philosophy. They assigned him to Fordham University instead. His second lesson came not long after. With his philosophy degree in hand, Clark was ready to teach. He wanted to work in a high school. His provincial thought he should go to Loyola College in Baltimore to teach philosophy. The provincial instructed Clark to pray for direction. “Whenever they give you that ‘pray about it’ stuff, you know you’re in trouble,” he jokes. But he did, and two weeks later, he told the provincial that Jesus had told him to go to one of the high schools. “He said, ‘Well, Jesus told me you should go to Loyola College in Baltimore,’” Clark recalls. Turns out that Jesus may have been speaking more clearly through the provincial: Clark ended up teaching medical ethics at Loyola, which kickstarted a lifelong career. 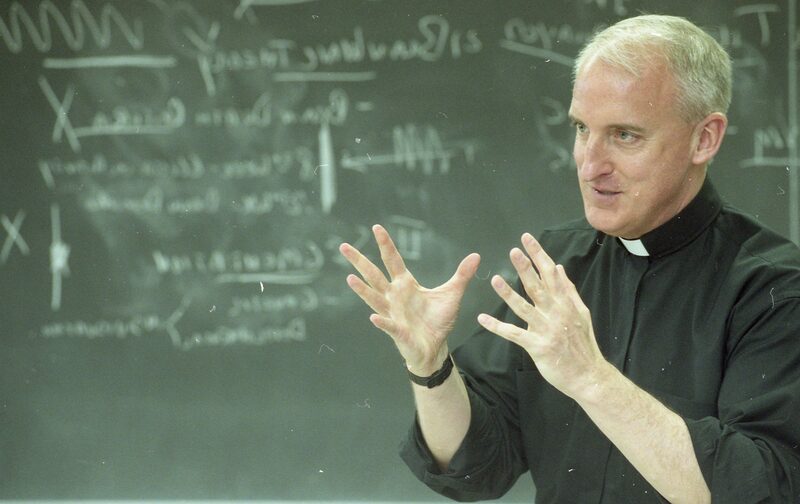 Clark was ordained in Baltimore in 1992 then went to Loyola University in Chicago to work towards a Ph.D. in Christian ethics with a specialization in biomedical ethics. That’s where he met Al Gustafson, who became a friend and, later, a member of the Institute of Clinical Bioethics’ external advisory board. Gustafson recalls a recent text that Clark had sent him to say he’d celebrated Mass that morning to mark the anniversary of the death of Gustafson’s son, Michael, who was 15 when he died from brain cancer in 2013. After graduating with his Ph.D., Clark returned to St. Joe’s once more, this time to teach medical ethics. There were no ethics or bioethics programs at the time. He set out to change that. In his advisory work with the ICB, some of the ethical questions Clark receives from physicians relate to religion. Orthodox Jews draw a line between brain death and cardiac death. Orthodox Muslims aren’t to receive blood thinners made with pork products. Many Jehovah’s Witness followers decline blood transfusions. When a Buddhist dies, custom dictates that the deceased’s head is not moved for two hours for it is through there that the soul leaves the body. It was during his regular hospital rounds at Darby’s Mercy Fitzgerald hospital that Clark noticed some of the young doctors were unhappy. They were frustrated by their dealings with patients suffering from substance use disorder, some of whom they saw repeatedly. One patient, hospitalized for an infection, overdosed in his hospital bed after he used his IV line to take heroin. Others were made so desperate by their struggles with substances that they would lie to doctors, saying they were in pain but allergic to non-opioid painkillers. Clark formed an opioid research team consisting of medical residents from Mercy, students from the Philadelphia College of Osteopathic Medicine and SJU undergraduate research fellows. Their task: to study the opioid problem nationally and locally, and to find creative ways to address it. “They jumped into this project,” Clark says. He also warned Dr. Reed and leaders at Mercy that they could receive negative pushback. About 30 years after they’d last parted, Clark and Dooner reconnected at an alumni event. It was like they’d seen each other just the day before. The pair reestablished a close relationship, and Dooner began to learn more about Clark’s work on and off campus. Hearing of Clark’s recent work to address the opioid crisis, Dooner and his wife, University Board of Trustees member Marlene Sanchez Dooner ’83, decided to donate to Clark’s efforts, funding his safe injection sites research. Clark often says substance use disorder touches everyone without regard for race, income or education. The Dooners knew this, having lost a person very close to them to the disease. Part of the research team’s early work involved learning more about the patient population. It was eye-opening, says Mercy resident Sonul Gulati, who watched one of his first patients at the hospital, a 27-year-old woman, die not from a drug overdose but from an infection caused by reusing needles. Mercy resident Rushabh Shah says he started thinking about his patients differently, approaching them with more understanding, after working on the opioid research project. The “care fatigue” lessened. The more controversial part of the research involved evaluating the establishment of safe injection sites or CUES. Clark and his research team looked at the success of a program in Vancouver, Canada, where people could have their drugs tested for potentially deadly Fentanyl contamination, get other health care services and, if desired, learn about rehab options. Since the safe injection sites were introduced in Vancouver in 2003, more than 3.6 million users have injected at the facilities. There have been almost 49,000 treatments for other medical conditions like wound care or pregnancy testing and 6,440 overdose interventions without a single death. 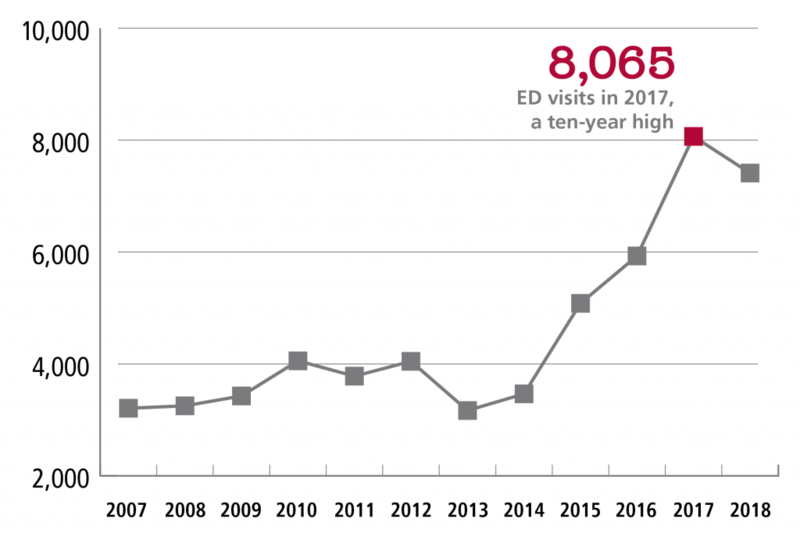 The number of overdose deaths among residents living within 550 feet of the facilities has decreased 35 percent; citywide, overdose deaths over the same period only decreased nine percent. Olivia Nguyen ’19 says she initially hesitated when she was asked to join the opioid research team, believing safe injection sites weren’t a good idea. Then she did independent research and took to heart Clark’s words about caring for the whole person. The team’s report is now in the hands of Philadelphia Mayor Kenney, but the city has been slow to respond. Clark suspects it’s because the U.S. Department of Justice has said it will shut down such a site and charge those involved with a felony. A nonprofit created with the intention of facilitating the creation of a safe injection site, Safehouse, counts among its advisors former Pennsylvania Gov. Ed Rendell and Sister Mary Scullion, R.S.M. ’76, also a member of Saint Joseph’s University Board of Trustees. Clark, too, is trying to think creatively. During a meeting with the research undergraduates, he noted that the so-called federal “crack house statute” forbids distributing or possessing drugs in a particular structure. It seemed incongruous: A priest — an ethics professor at that — talking about ways to sidestep federal law. But it made sense to Clark. He still remembers being on a hospital consult a few years ago and being asked to counsel the mother of a patient who had overdosed on opioids and was brain dead. She wanted to speak to a priest before she made a decision regarding organ donation. Clark listened as the young mother talked about how hard she’d worked to help her son, a bright, talented athlete, break the hold substances had on him. The woman decided to allow her son’s organs to be donated to other patients, telling Clark, “Maybe this is his greatest gift of all, the gift of life for others.” Those words have stayed with him. Natalie Pompilio is a Philadelphia-based writer who contributes to The Philadelphia Inquirer, The Washington Post, The Star-Ledger (Newark) and the Associated Press. She is the author of Walking Philadelphia: 30 Tours Exploring Art, Architecture, History and Little-Known Gems (Wilderness Press, 2017) and co-author of More Philadelphia Murals and the Stories They Tell (Temple U. Press, 2006).